The Wayward Astronomer is Award Nominated! 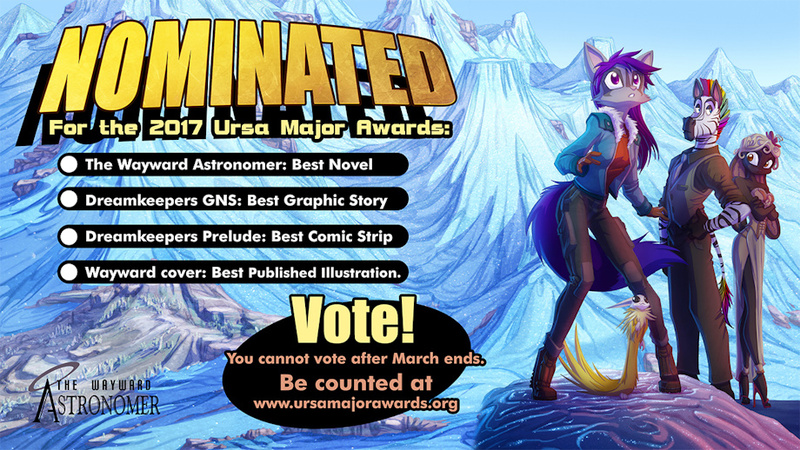 I don't use Inkbunny very often, but I wanted to share the good news that my illustrated novel, The Wayward Astronomer, has been nominated for the 2017 Ursa Major Award! Original artwork was done by the illustrator of The Wayward Astronomer and creator of the Dreamkeepers comic series, David Lillie. His works are nominated too!